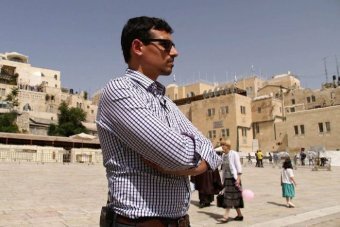 ​Outspoken Jewish anti-child abuse campaigner Manny Waks says he has settled a civil case against Melbourne's Yeshivah Centre, where he suffered years of sexual abuse. Mr Waks was sexually abused by a security guard at the centre during the 1980s and 1990s, and has spent years pursuing the centre. He was the first person to publicly raise allegations of child abuse in the Jewish community in Melbourne, and gave evidence at the royal commission into child sexual abuse. In a statement released today, he said he was delighted that an agreement with the Yeshivah Centre had been reached "after many years of litigation". He said the "ongoing sexual abuse that happened under their watch" was "followed by cover-ups and victim intimidation". "This has been a prolonged and gruelling process for me and my family. I'm greatly relieved this matter has finally been resolved. "I'm hoping that today's personal milestone will assist me in moving forward — in all aspects of my life, but especially in my healing process. "I feel that to get as close as I can to achieving personal closure, my perpetrators and their enablers need to be held to account." With the agreement with Yeshivah now reached and one of his abusers in jail, Mr Waks said he was focused on extraditing another man from the US to face trial in Australia. "Victoria Police have recently confirmed that the matter is progressing," he said. "[While] nothing will make up for what I and so many others endured … sometimes justice feels sweet," he said. "And today, I feel a sense of justice and vindication." Mr Waks released a book about his experience in 2016, Who Gave You Permission?, and said when he first spoke out about the abuse he felt so ostracised by the ultra-orthodox Jewish community that he moved overseas. "We were forced out of here — I felt that we're out in exile," he told ABC News Breakfast at the time. He said he would continue to campaign for other victims.